Nikki began her career in early childhood education over thirteen years ago, starting as a toddler teacher and school chef. She realized her true passion for education while teaching her first Pre-K class and during the summer camp that followed. Her hard work and creativity during this first summer camp experience earned her a Best Summer Camp in Carrollton award in 2011. She thrived so much in this role that she began writing and implementing curriculum for the summer camps that followed, earning her the role of Summer Camp Director. She joined Carpe Diem Private Preschool at the Allen, Texas location as a Pre-K teacher in the fall of 2012, becoming part of the Endeavor family in 2015. Four years after becoming a lead teacher, she was promoted to Office Manager at Carpe Diem, Allen. 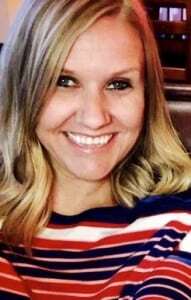 Six short months later she was promoted again and joined the Endeavor Support Team as the Regional Office Manager for the Dallas-area schools. Nikki is excited to be performing her expanded regional role at the Carpe Diem, Allen location, now supporting schools in the Dallas, Austin and Houston areas. She enjoys traveling to the different schools and working with teachers and administrators to provide superior care and quality education to little ones in the Endeavor family. Nikki lives with her husband, her six-year-old son, Lane, and her two dogs. As a family they love the outdoors, game and movie nights and, of course, cheering on the Dallas Cowboys!